What do you get when you combine rhythmical drum patterns and electro-pop synthesizing melodies with an echoing vocal tone? Montreal’s electro-pop band Le Couleur’s goal is to make their audience dance the night away. Their musical influences come from French electro genre bands like Air, Daft Punk, Sébastien Tellier, and Stéréo Love. On Saturday, they performed at the L’Escogriffe bar. Their performance was part of Montreal’s music festival, M for Montreal, that spotlights local musicians and artisans around the city. “We met on Kijiji [in 2008] in the classified ads section, there was some musical equipment for sale and we decided to split the cost,” Laurence Giroux-Do, the vocalist of the band explained. 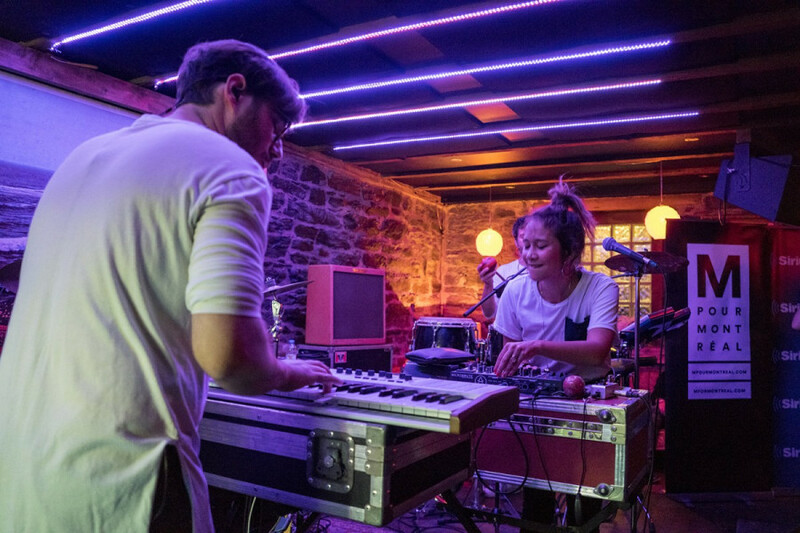 Giroux-Do, along with keyboardist Patrick Gosselin and drummer Steeven Chouinard, split the equipment costs and decided on staying together to compose their glossy melodies and form the band. On the night of their show, the venue felt completely packed with tables and chairs crammed around the room. Half of the audience was occupying the bar while the other half was huddled around the luminous purple LED lights above the stage, eagerly waiting for Le Couleur to strike those first musical notes. The LED light itself bathed the stage in a pale purple, which was uncomfortably bright and made it a little difficult to focus on the band. This electro-pop trio has previously made an appearance at M for Montreal where they performed for the Franco SiriusXM concert series, a reserved section from the festival dedicated to newly discovered musicians. “We did the Franco SiriusXM show four years ago and we were young and slowly starting to become serious musicians,” Giroux-Do said. 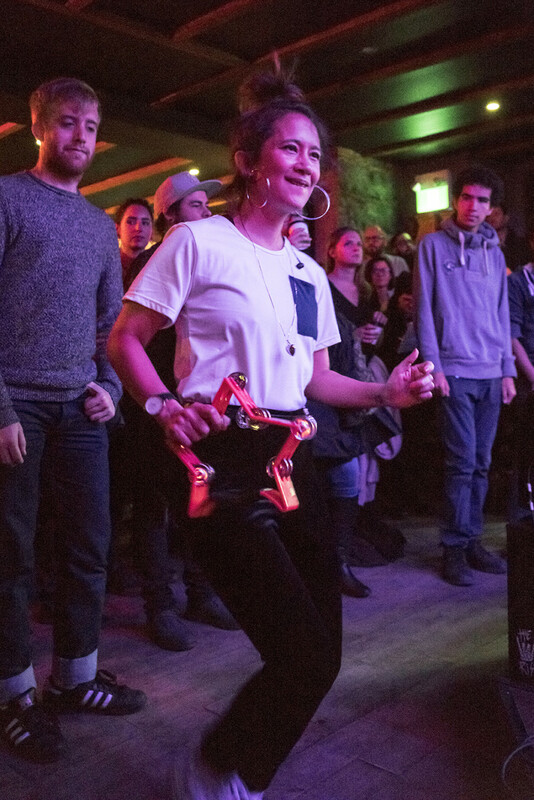 Le Couleur played their hearts out, motivating their audience to move themselves around the stage and dance at the continuous rhythmical patterns they were blasting out. The segues used in between each melody were applied smoothly, allowing the audience to absorb each musical note without experiencing any awkward tone changes or sudden silent gaps in between each song. Their song, “Son Naturel,” began with Gosselin playing several haunting chords on his synthesizer. This contrasted with Chouinard’s ecstatic repetitive pop drum beat that was keeping the melody intact. 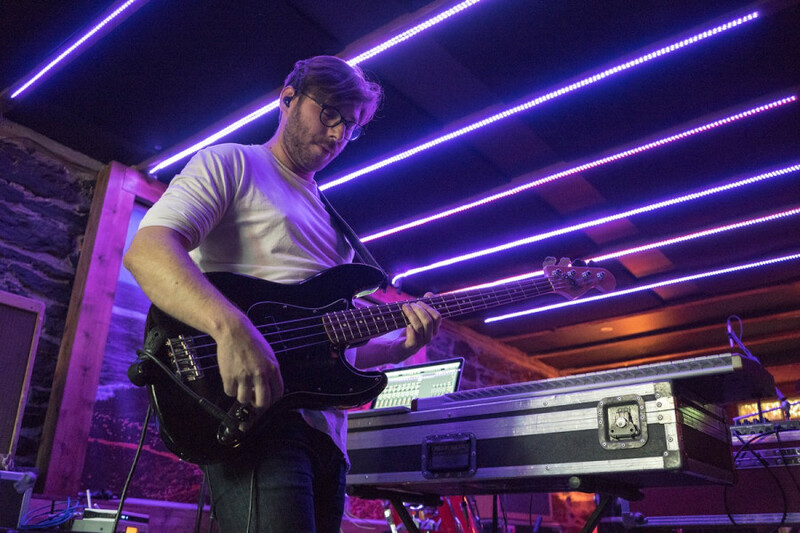 Giroux-Do’s vocals suddenly appeared and echoed around the entire bar, filling up the venue with sound and overwhelming the audience until the beat slowly phased out to a softer melody. This electro and pop melody got Giroux-Do jumped off the stage and began to dance with the audience, wanting them to take part in this musical celebration. Le Couleur painted their performance by using colourful melodies with smooth transitions that were filled with electro-pop harmonies, guaranteeing them a spot at next year’s M for Montreal.